Hello, all! With so many states under some kind of winter weather warning, are any of you sick of winter yet? I am, and I don't even live where it snows (at least not too much)! On Wednesday, Punxsutawney Phil did not see his shadow which is supposed to indicate that we will have an early spring. Not sure how reliable ol' Phil is, but I'll take it. I am beyond ready for some warmer weather. Are you ready for spring? Or do you prefer the cold weather? And as always, a new month brings new releases! Which February releases have you read? Of those, which ones do you recommend? Which ones are you most looking forward to reading? Tell us and one lucky commenter will win a book I picked up from last year’s RWA conference in Orlando! I have read the following and recommend them all. So many fantastic books again as yet I haven't read any of them but I am sure I am going to blow the book budget again this month LOL. 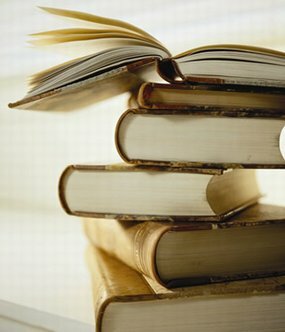 I would really like to know if anyone has read these and if they would recommend them. I am reading the Perfect Mistress right now and loving it. Already read When Beauty Tamed the Beast. 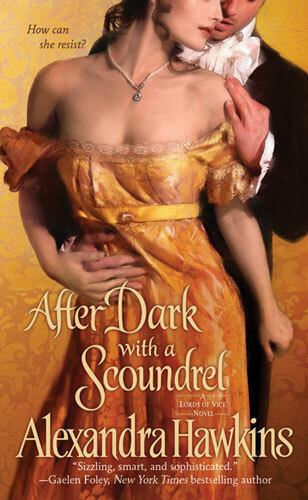 How to Woo a Reluctant Lady is next in line and then After Dark with a Scoundrel. Everything else I will have to get. ... on top of my wishlist. They are all historicals and what I'm most looking forward to. What a great lineup for February! Right now, I'm in the midst of Scandal of the Year by LLG and loving it so far! (I wanted to be sure to finish it up before Laura visits later this month.) Next up is Eloisa's When Beauty Tamed the Beast. There are also books on my TBR list I want to tackle before the March releases come out. I swear, I need a year off from life to finish all the books I want to read! lol. I couldn't agree with you more about Alexandra Hawkins's series. Her latest, ADWAS, is terrific and you're right--the series gets better and better! In response to your other post, I have both LLG books in my TBR pile, but have not had a chance to read them yet. 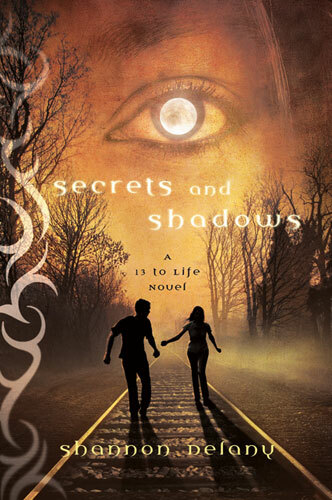 Gannon reviewed Tiffany Clare's TSOHW and gave it 5 stars, so she definitely recommends it. And I've heard great buzz about Courtney Milan's latest. Oh, we will GLADLY take some of your heat! Honestly, this is the worst winter this country has had in a very long time. Speaking of weather, I hope you aren't in the path of any flooding or the cyclone. The news reports and pictures are almost unbelievable. Stay safe! I hope you're able to get and read tons of books! Dianna, I knew you'd have Victoria Alexander's latest as you're a huge fan! Is it good? I have it, but haven't had a chance to read it yet. Oh, Lisa, I'm so glad to hear that you're loving LLG's latest! I can't wait to have a little time to read both books back-to-back. I'm hoping that will be soon. Loved Elizabeth Hoyt's "Notorous Pleasures" (already looking forward to rereading it again). I'm currently reading the anthology "An Invitation to Sin" (loved Sally Mackenzie's A Naked Prince in which I read first). Okay, I know I say this every month but I'm *never* going to find enough time to read all the books I want to! gamistress66 said: Loved Elizabeth Hoyt's "Notorous Pleasures" (already looking forward to rereading it again). This is the book I'm going to read next after the review book I'm reading. Sooooo looking forward to it!! Loved Elizabeth Hoyt's "Notorous Pleasures" (already looking forward to rereading it again). gamistress, glad to hear you enjoyed Notorious Pleasures. I picked it up last weekend and can't wait to get started! I'm reading Notorious Pleasures by Elizabeth Hoyt today. Then there are SuperRomances by Sarah Mayberry, Molly O'Keefe, and Mary Brady and a Desire by Elizabeth Bevarly that I'm looking forward to reading. Every month is a great reading month for romance readers, isn't it? And is it just me, or is Jaci Burton's THE PERFECT PLAY the best cover ever?!?! Janga said: Every month is a great reading month for romance readers, isn't it? It really is, Janga. There's something for everyone. Please let me know what you think of Hoyt's latest! Unfortunately I haven't had the chance to read any if these books yet, but I am looking forward to Notorious Pleasures by Elizabeth Hoyt and Laura Lee Guhrke's two latest books. I haven't had much time for reading because of exams but in a few days I will be as free as a bird to devour all the books I want (especially the historicals). To Tempt A Rake by Cara Elliott. I have read the first two books in this series. Loved them! Hey, Trish! I know that you're looking forward to those and I hope you'll get the chance to read them soon. Maybe during Spring Break? Good morning, runner10! Buffie really enjoyed Cara Elliott's book and since our taste in books in similar, I'm sure I'll enjoy it, too. There looks to be some great titles though so I may have to check the blurbs out. There are lots of good ones on this list, especially in Historica. I want to read the new releases by Hoyt, James, Jeffries and Sands, among others. It seems like every month there are more and more books that are creating a TBR mountain in my closet! :) There are a couple I'm looking forward to reading. Out of that list i have bought but not read Nalini singh's Archangel's Consort and i'd like to buy and read Animal Magnetism by Jill Shalvis and Perfect Play by Jaci Burton! Andrea & Pj -- be warned, I picked it up w/ intent to read for a little before bed (about an hour). well, bed didn't happen till the wee (or early depending on point of view) hours after the book was finished. Just got sucked in and couldn't put it down. Enjoy it! I hope you get to read them soon, Pamela! I hear you, LSUReader. Lots of great historicals this month! Modokker, Jill's and Jaci's are on my personal list, too! gamistress66 said: Andrea & Pj -- be warned, I picked it up w/ intent to read for a little before bed (about an hour). well, bed didn't happen till the wee (or early depending on point of view) hours after the book was finished. Just got sucked in and couldn't put it down. Enjoy it! SQUEEEEEEE!! So glad to hear it's great, gamistress! Oh my gosh, so many books! On the top of my list! Jaci Burton, Jill Shalvis, Elizabeth Hoyt, Alexandra Hawkins, Ashlyn Chase, Tara Janzen, Kat Martin, and Marie Force, did I forget anyone! LOL! Great list! Just wish I had more time and money! There are still a few more that I am dying to read I just felt like I was taking up too much space. This is one of those months where the TBR list grows by infinite proportions! I've read Once Upon A Scandal, Unveiled, Shadowfever and Scandal of the Year. Liked them all a lot, but LOVED Unveiled. Can't wait for more from Milan! I'm lookin forward to so many on this list, but particularly Eloisa James' and Alexandra Hawkins' new releases. 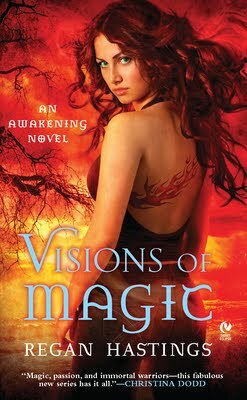 Jeffries' new release is waiting for me to pick up at the library on Monday! Yea! Great line up, love your list every month. I read the Deborah Hale, Delilah Marvelle, And Courtney Milan, all very fine reads! I'm really looking forward to checking out some of the books on this list. Now I just have to find the time to read everything! I'm so glad to see that you mentioned "Born Under a Lucky Moon" by Dana Precious, an author that I am working with. It’s a really cute and fun read about a dysfunctional yet loving family from Michigan, and a story that spans from the Great Lakes to Hollywood and back. 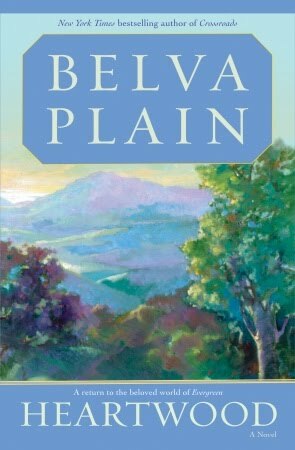 It’s a touching story and is based on some real life events of the author that include a surprise wedding and, sadly, a murder. You can read sample chapters and the prologue at http://www.bornunderaluckymoon.com before its released on February 8th. I hope you all enjoy! - "Everyone Loves a Hero" by Marie Force (loved Cole but not so enamored of Olivia - lots of drama). Once again, more books than I could possibly read. There are several from this batch on my wish list already. First, Nalini Singh, hoping to get this weekend. 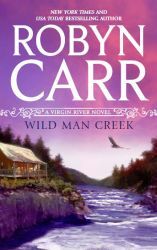 Also must get asap, the Kresley Cole, Rachel Caine and Kimberly Frost (this is a real fun witch series). Next, Elizabeth Hoyt, Eloisa James, Sabrina Jeffries, Victoria Alexander, Cynthia Eden, Lysnsay Sands,C ourtney Milan, Lauren Willig. After that just about all the rest of the historicals, paranormals and UF. Wow, many of your lists are the same as mine:) I hope you all are able to find the time to read them all! Thanks to everyone who stopped by! Yes Andrea, it is an excellent story but as you are aware I am a huge fan, I think if she wrote a grocery list it would be good. @ Dianna -- LOL! I totally agree! i am looking forward to quite a few books that are coming out this month. Picked up This side of the Grave by Jeanine Frost and finshed today and it was great. Best book of the group so far. Picked up the Julia London book A light at winters end. have not had a chance to start that yet. also picked up the new Kat martin books. read the first one Against the Wind and loved it. I will now be starting Against the Fire. Looks good. Perfect Mistress by victoria alexander was good. first time reading her books and will get more. good writer. How to Woo a reluctant lady by sabrina jeffries was great. the rest of the series was also good.